We believe in offering the best that there is to make your golf experience at Black Bear Casino Resort a memorable one. 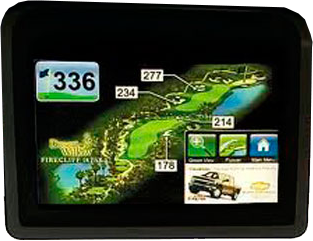 That is why each of our 60 Club Car Precedent golf carts is equipped with the state of the art Visage Touch Screen GPS system. Full hole fly-overs, superior 3-D graphics, yardages, distance to pin and full course maps allow you to have all the knowledge a Local Pro has when playing the course. 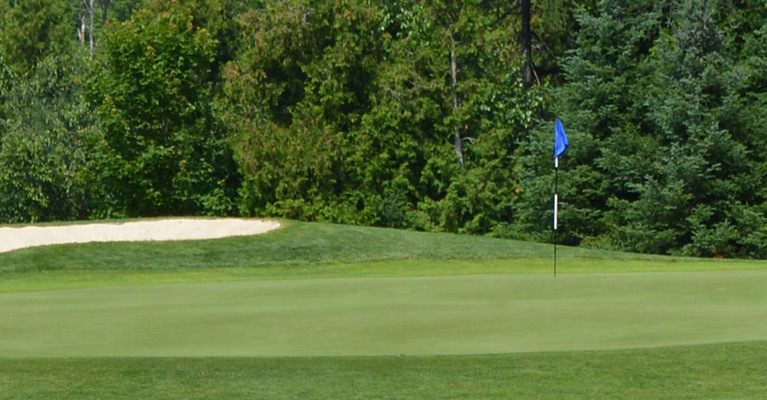 We pride ourselves in offering our guests a comfortable pace of play on a daily basis. By having distances at your fingertips and a picture of the hole to look at, this knowledge of the course allows golfers to play faster without the feeling that they are in a rush. Not only can you keep score by using Visage’s scorecard function, once your round is complete Visage will allow you to email your score to yourself or a buddy to brag about your best round of your life! 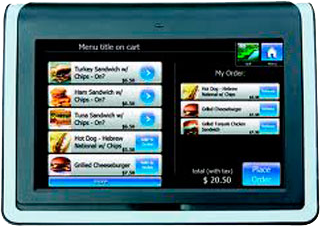 Visage lets you order off a selective menu 1-2 holes before you make the turn. A staff member will meet you with your order on the 10th tee box.